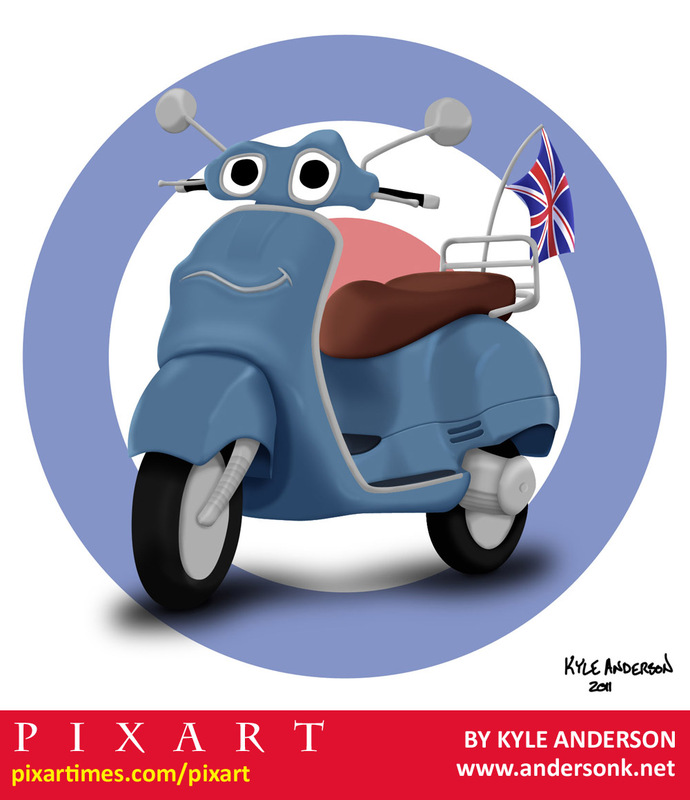 Welcome to our PixArt page, where artists from around the world contribute Pixar-related artwork. We have been truly blown away by the response. This page has not been updated since 2011, but you can view all of our PixArt pieces that have been submitted since then here. Who could that be knockin’ on PixArt’s door? Why, it’s everybody’s favorite Wilderness Explorer! 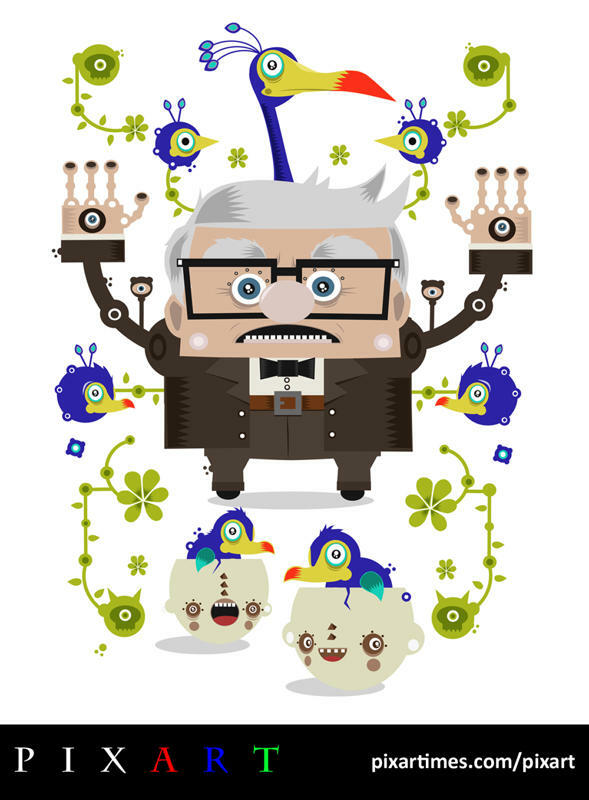 We have UK artist Wayne Harris to thank for this really fun take on Russell from Up. 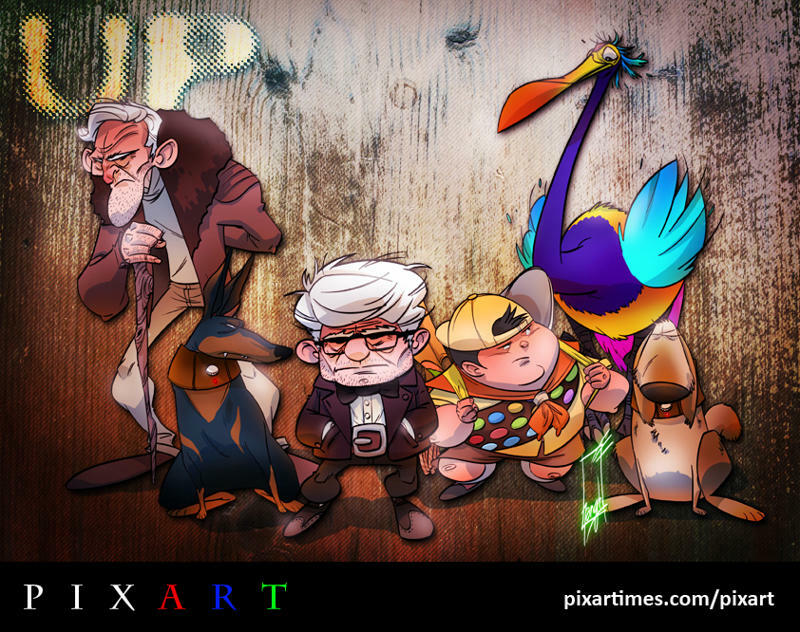 We love Harris’ style and character designs. Make sure to check out his personal site for more great and often hilarious takes on some famous characters and personalities. Read on for more about the artist in his own words here! 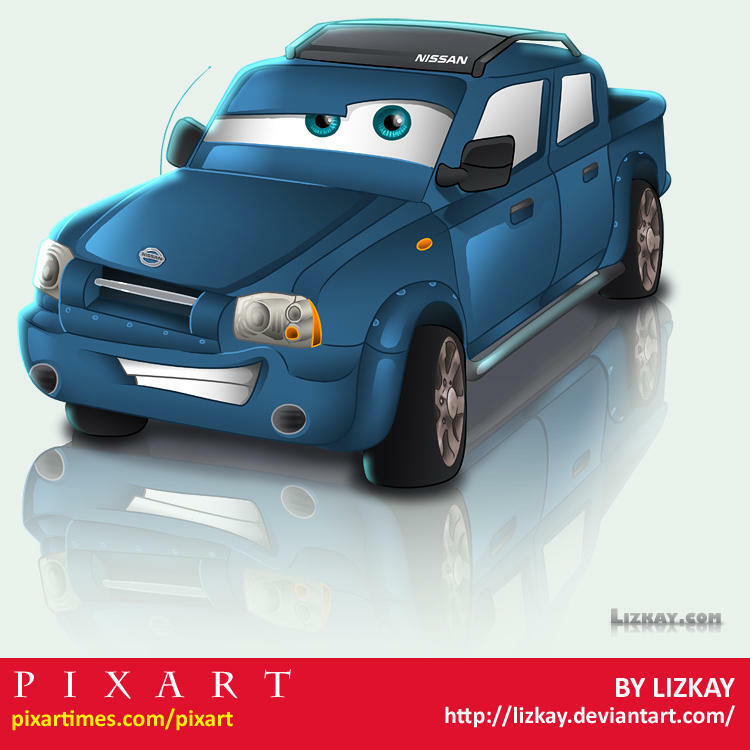 Check out this cool deco Buzz Lightyear! We think it’s out of this world. Big thanks to Argentine artist Franco Spagnolo for sending us this beautiful illustration. Make sure to check out his site for more great images! Keep on reading to learn more about this fantastic artist and his work. Here’s something a little different from our friend Mercedes Crespo (aka Yema Yema)! Her distinct style is in top form here as she celebrates Carl and Kevin from Up! Make sure to check out her amazing illustrations and t-shirt designs. Read on for more about this artist in her own words. 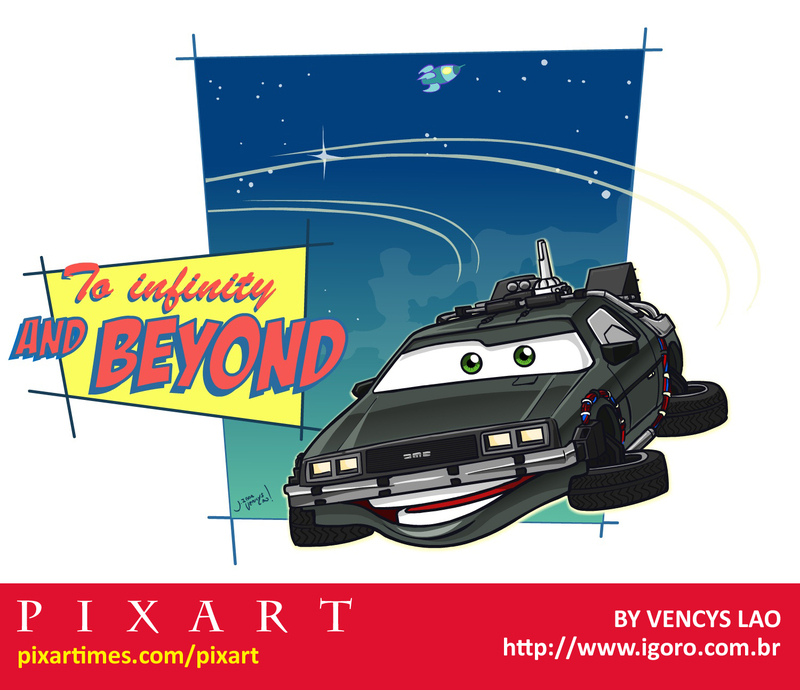 In June, PixArt took a small detour to Radiator Springs with our countdown to Cars 2. But now we’re back on track with an all-new piece from German artist Christian Lindemann. 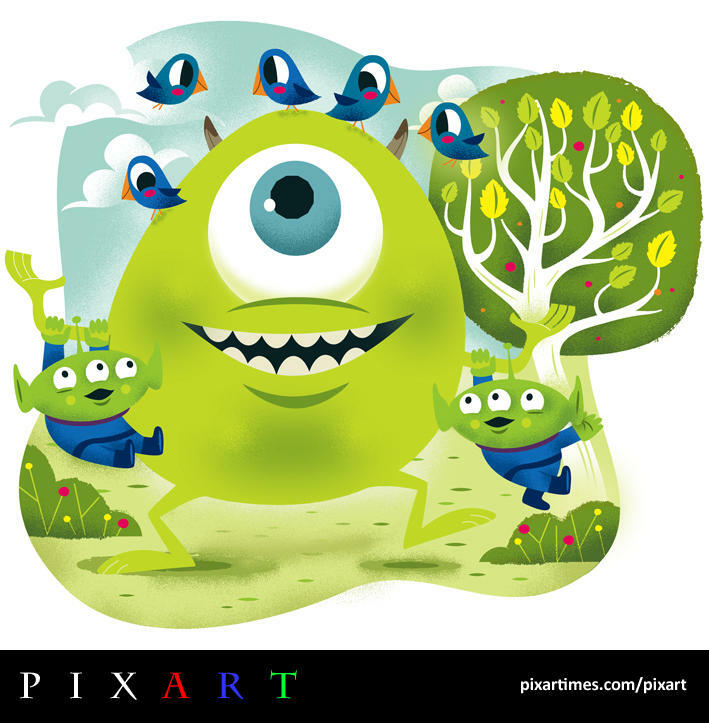 Mike meets the aliens and the birds in this wonderful mash-up of Pixar favorites. 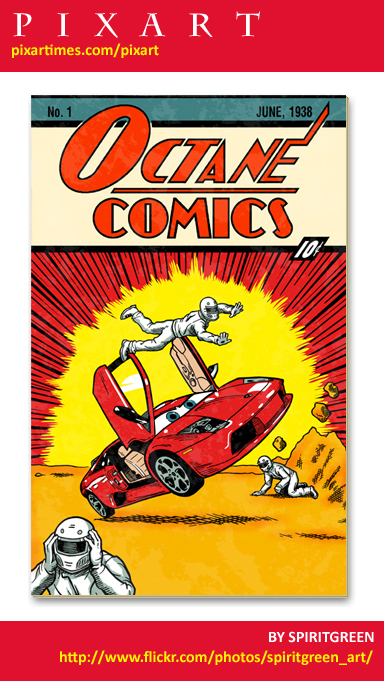 Please check out Christian’s great illustrations and design at his website. Read on for more information about the artist in his own words. 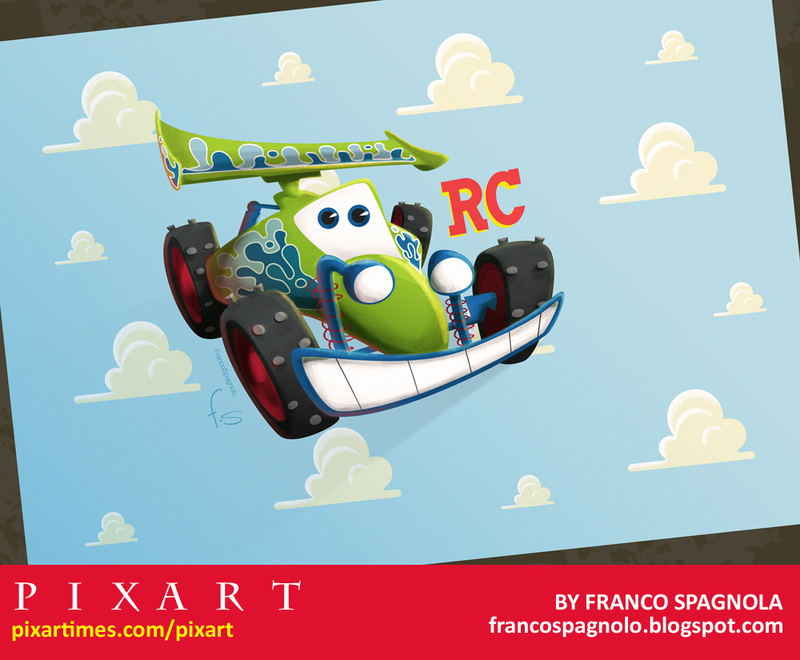 Cars 2 is now playing in North American theaters! Cars 2 has officially arrived in North American theaters. 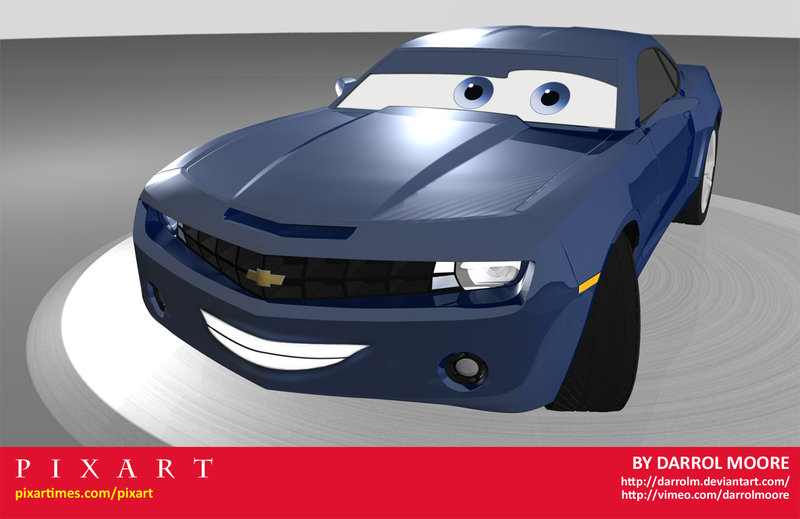 Less than 1 day until the release of Cars 2 in North American theaters! 2 days until the release of Cars 2 in North American theaters! 3 days until the release of Cars 2 in North American theaters! 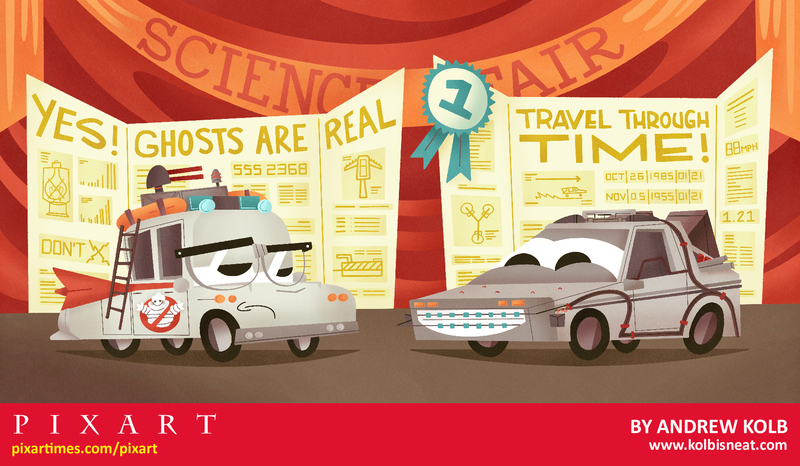 4 days until the release of Cars 2 in North American theaters! 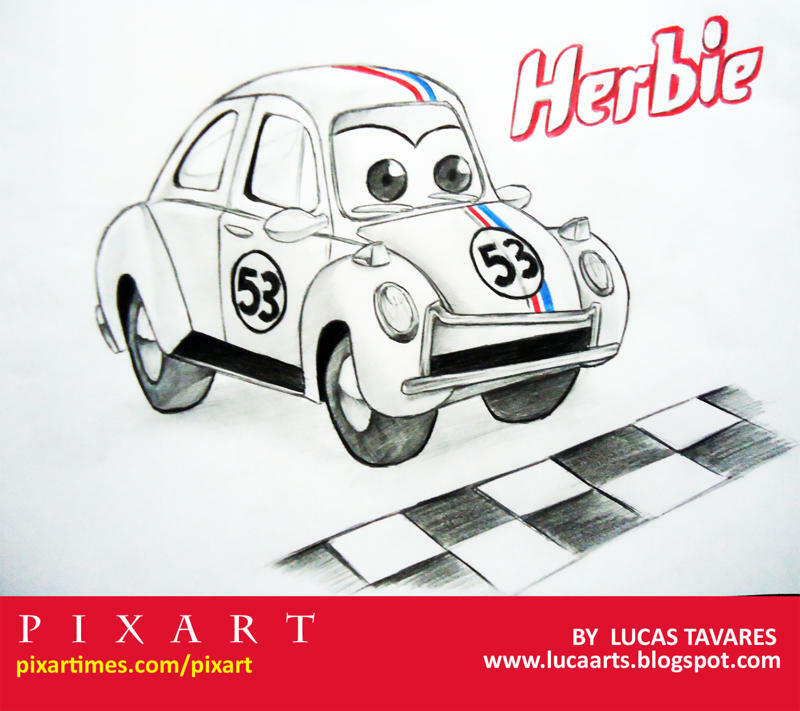 5 days until the release of Cars 2 in North American theaters! 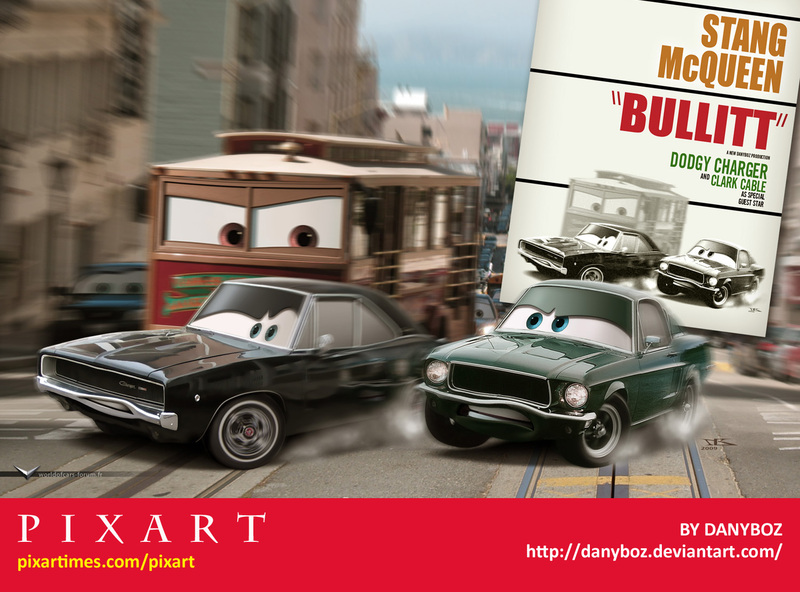 6 days until the release of Cars 2 in North American theaters! 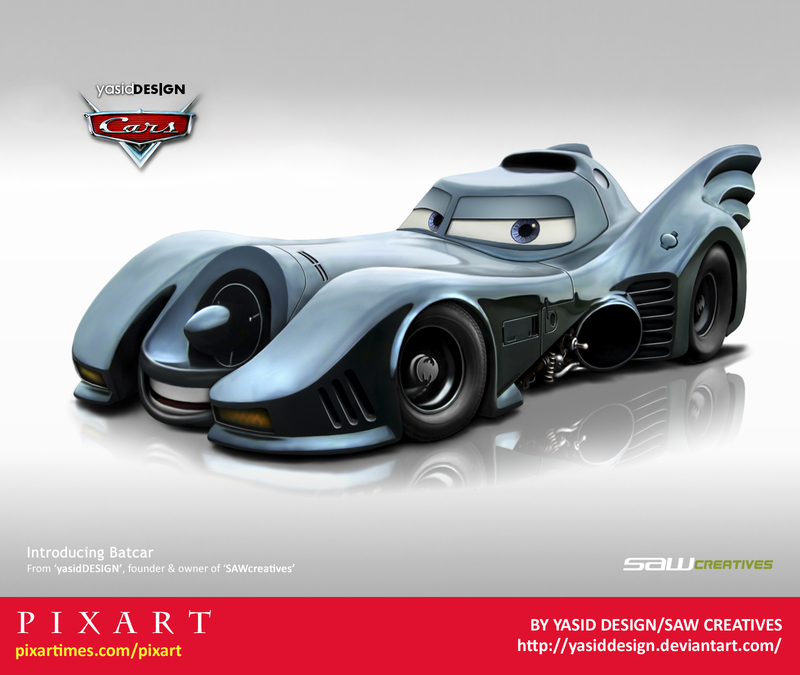 7 days until the release of Cars 2 in North American theaters! 8 days until the release of Cars 2 in North American theaters! 9 days until the release of Cars 2 in North American theaters! 10 days until the release of Cars 2 in North American theaters! 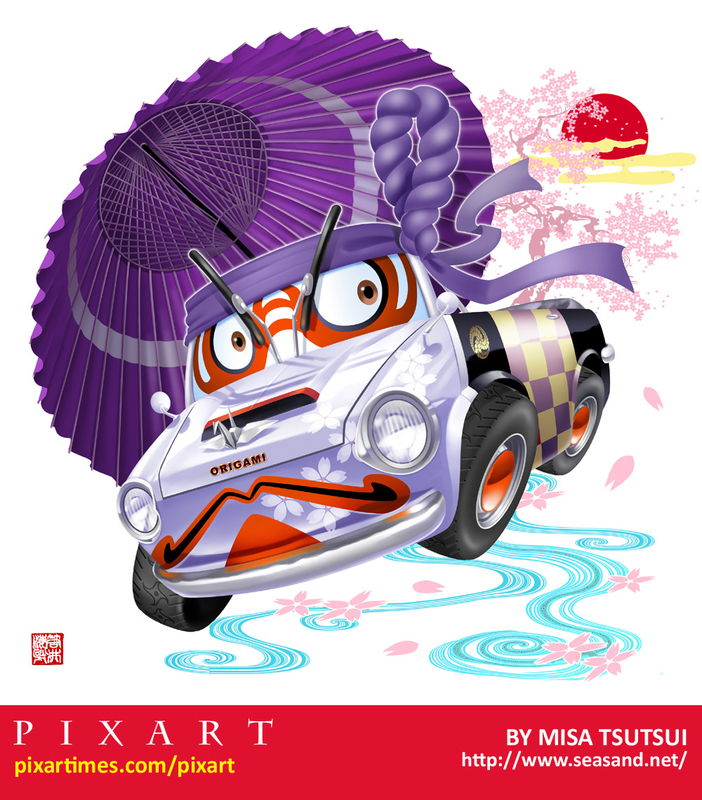 11 days until the release of Cars 2 in North American theaters! 12 days until the release of Cars 2 in North American theaters! 13 days until the release of Cars 2 in North American theaters! 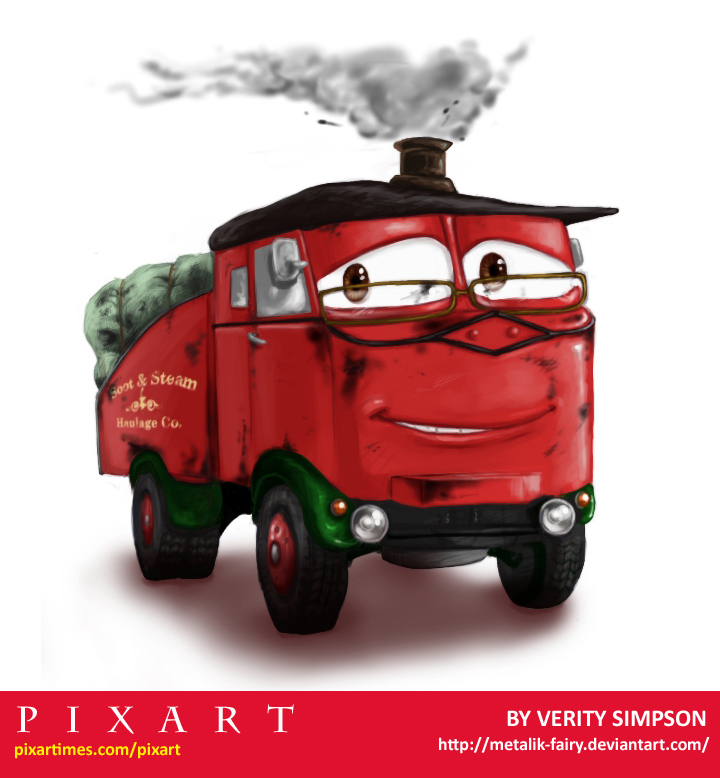 14 days until the release of Cars 2 in North American theaters! 15 days until the release of Cars 2 in North American theaters! 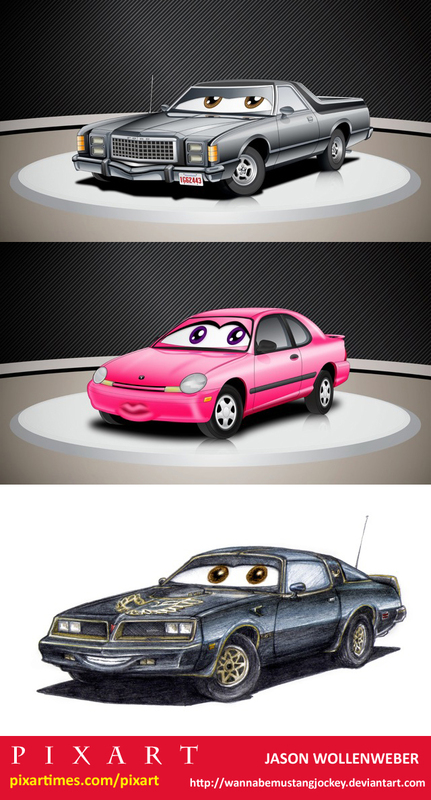 16 days until the release of Cars 2 in North American theaters! 23 days until the release of Cars 2 in North American theaters! 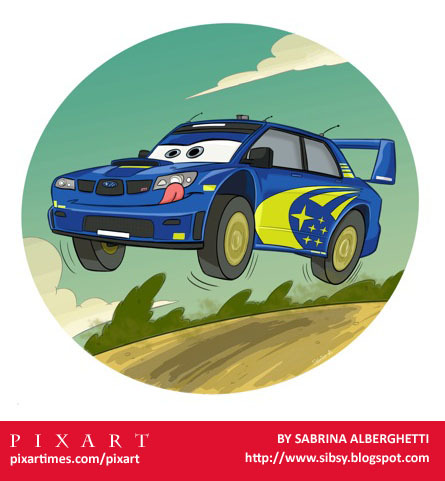 A big thank you to Florida artist Helena Garcia for contributing this month. And oh, what a sweet (and delicious) piece it is! 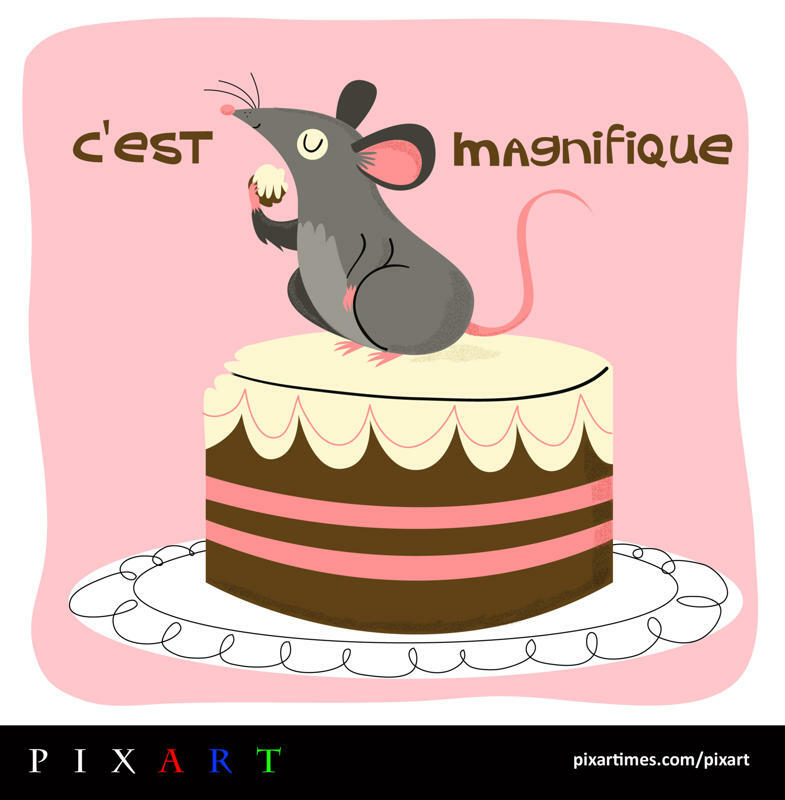 Her adorable tribute to Ratatouille is full of simple charms. We’re big fans of Helena’s character art and illustrations. Make sure to check out her site for more beautifully designed images. Read on to learn more about the artist in her own words. This incredible piece comes to us from Australian artist Chris Kennett. 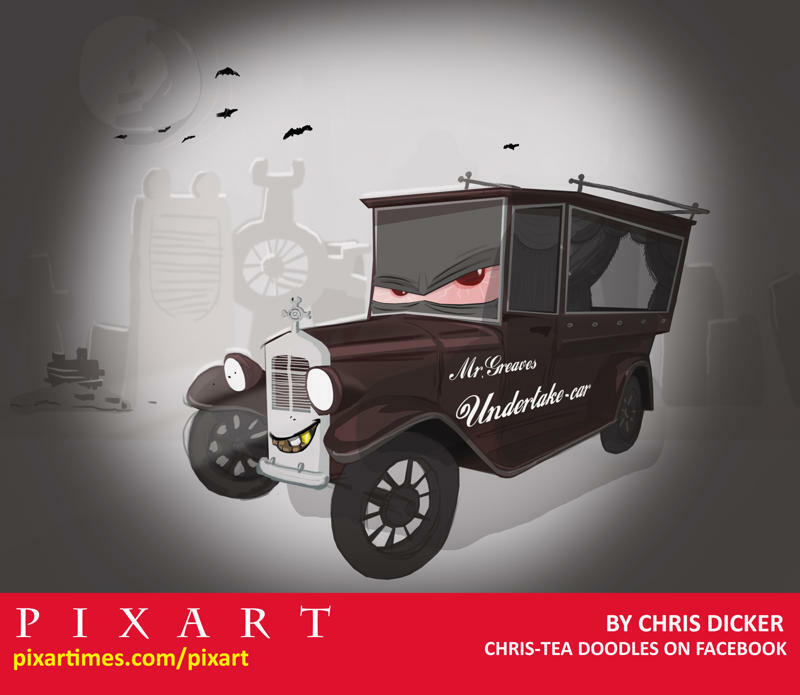 We’re big fans of Chris’ work and we’re sure you will be too after seeing this great piece. 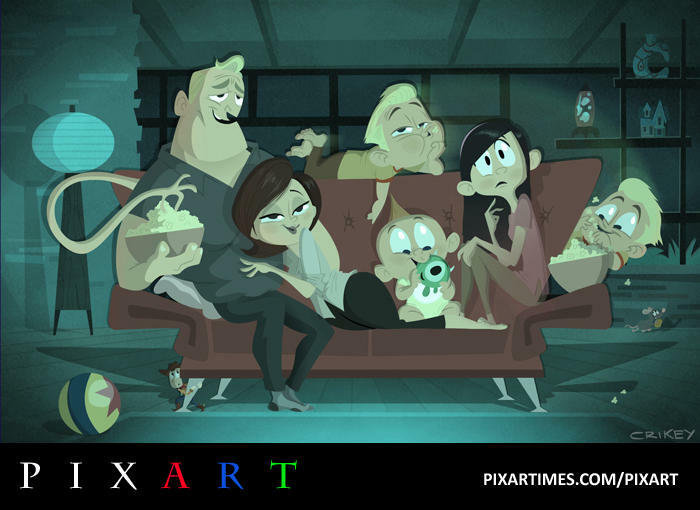 The Parrs are spending a relaxing night at home in front of the TV and are surrounded by some references to other Pixar films. Great composition, beautiful character design, strong narrative and color stylings – these are all characteristics of Chris’ portfolio. Check it out for yourself. Read on for more information about this super-creative guy in his own words. We hope you’re just as inspired as we are by the works of Wisconsin artist Brad Renner. 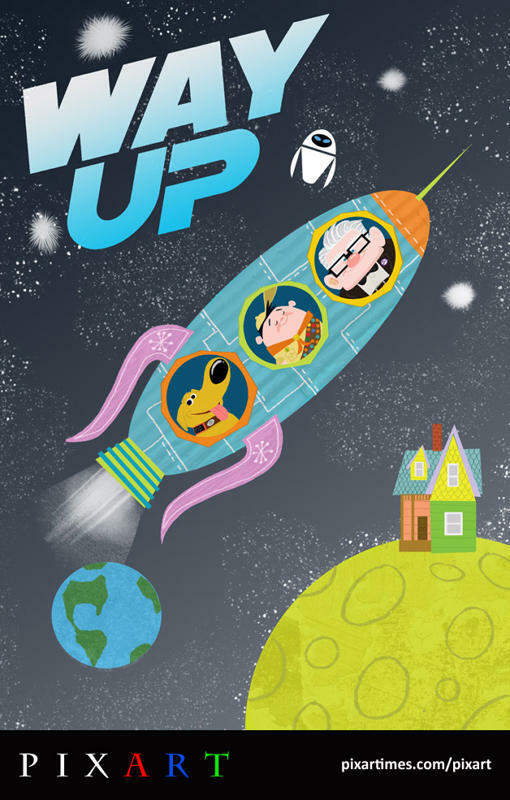 Check out his cool imagining of the sequel to Up. We think it’s out of this world! 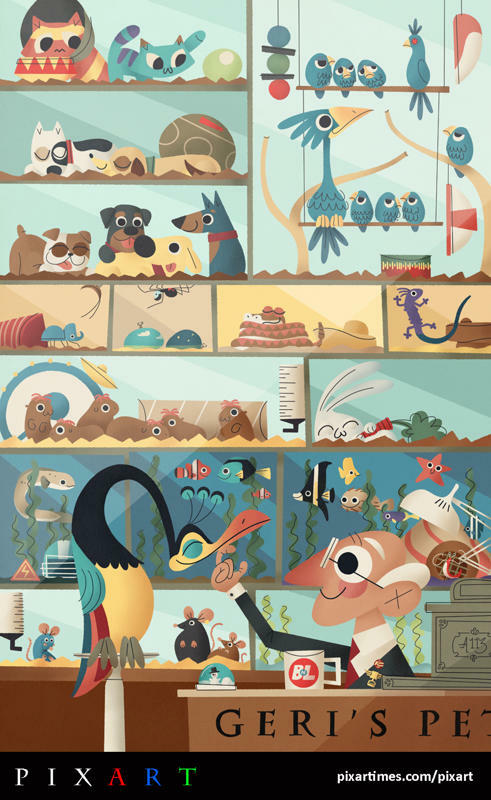 Brad’s work is tons of fun and overflowing with retro-modern goodness. Check out his site and you’ll see what we mean. We appreciate Brad taking the time to contribute this great piece. Keep reading to learn more about Renner in his own words. We were thrilled when artist Andrew Kolb agreed to do a piece for us. But we were not expecting this! Wow! 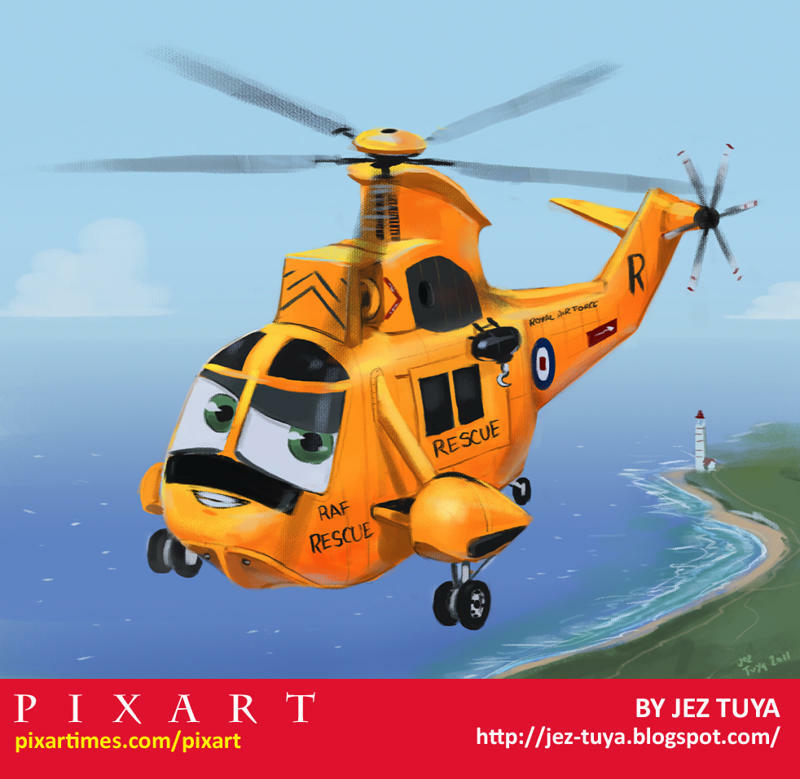 With many references to Pixar’s films and shorts, make sure to take your time to try to find them all. This wonderfully clever piece is practically poster-ready. You’ll definitely want to check out more of Andrew’s great work. We’ll let Andrew tell you more about his work and where you can find it. 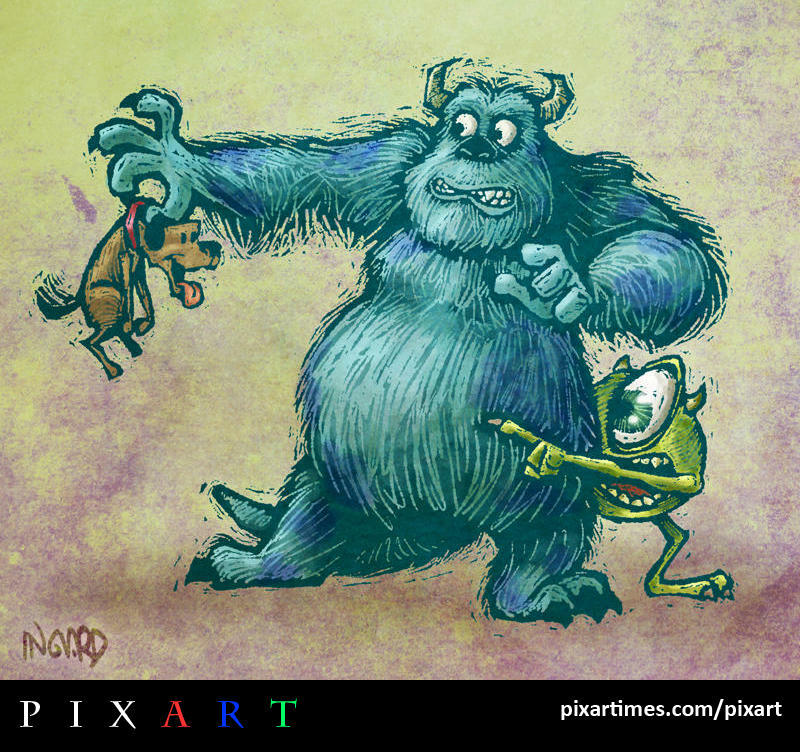 What is it about Monsters, Inc. that so inspires our PixArt artists? 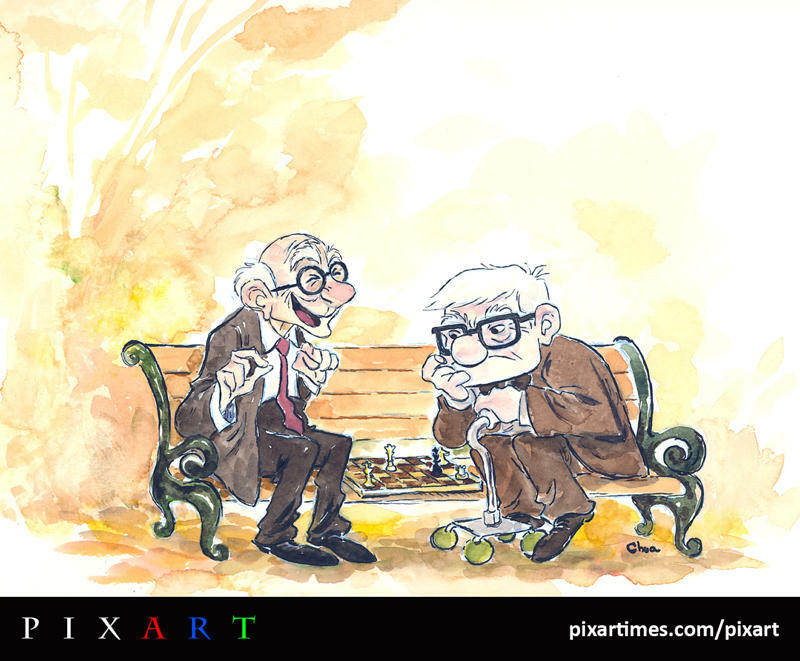 Perhaps it is the film’s creativity because the film has definitely been a popular choice on our PixArt page and we continue to be impressed by the artwork we have received! When the art is this good, who’s complaining? Check out this wonderfully stylized take on our favorite citizens of Monstropolis provided by San Francisco artist Grant Gilliland. We love the Clasky Csupo vibe! Check out more about the artist in his own words. 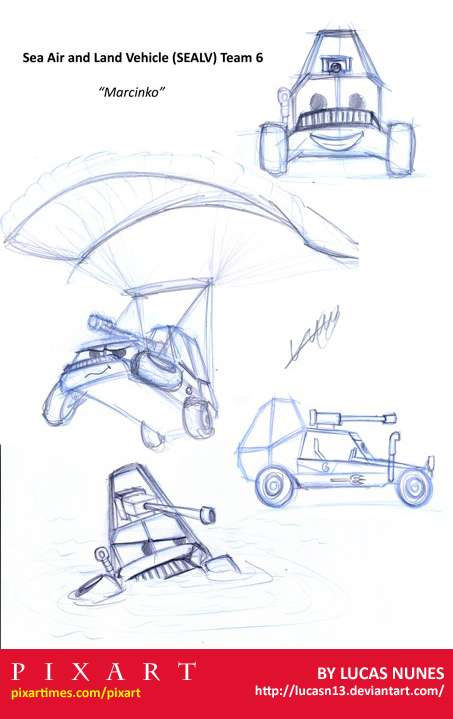 Joe Ranft was talented enough when it came to storyboarding, but his skill did not stop there. 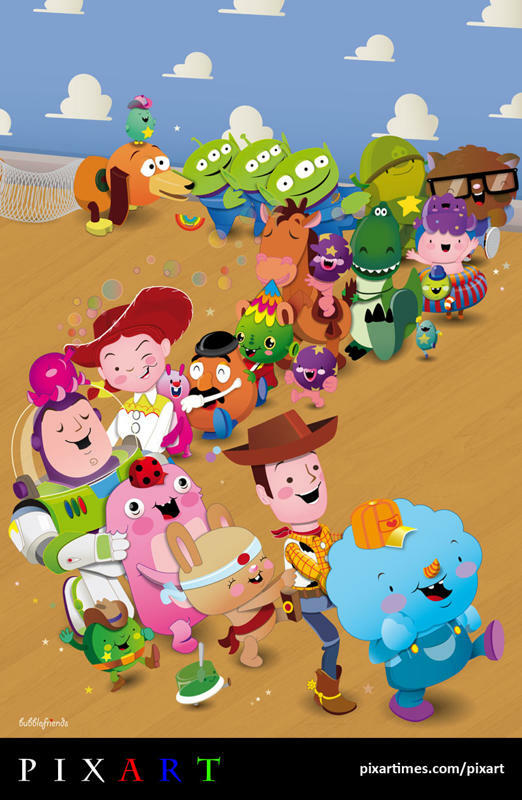 He also crafted voices for some of Pixar’s most memorable characters – Wheezy in Toy Story 2, Jacques in Finding Nemo, and of course Heimlich in A Bug’s Life. 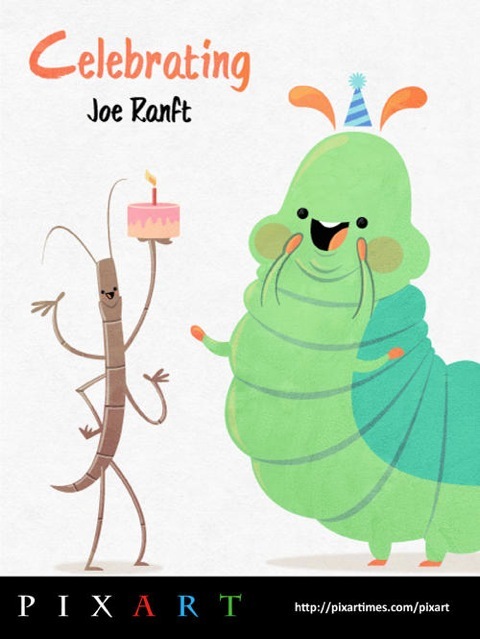 As Heimlich, Ranft raised character humor to a whole new level of hilarity. “Slow down you flowers! Oh, CANDY CORN! Here, let me help you to finish it!” is a Heimlich line that still has us laughing hysterically over 10 years later. Today’s tribute to the late, great Joe Ranft continues with this wonderful Heimlich piece from San Diego Artist Andy Wilhite. 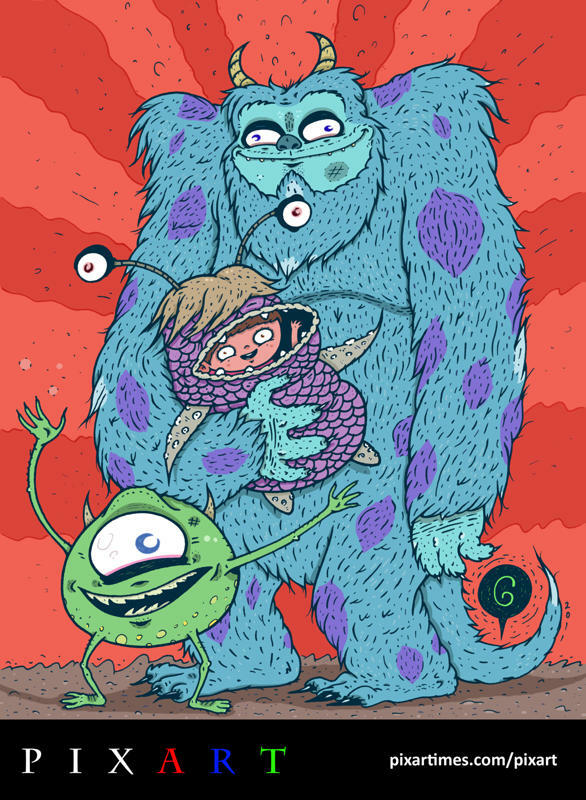 We’re big fans of Andy’s beautifully designed characters and t-shirt designs. His use of color and negative space is a constant inspiration. Check out his flickr account for more great images. You can also find him on Threadless where many of his awesome designs are for sale. Thanks to Andy for contributing this adorable piece to our celebration of Ranft’s birthday! We are thrilled with this outrageously original piece from Malaysian artist tanglong. 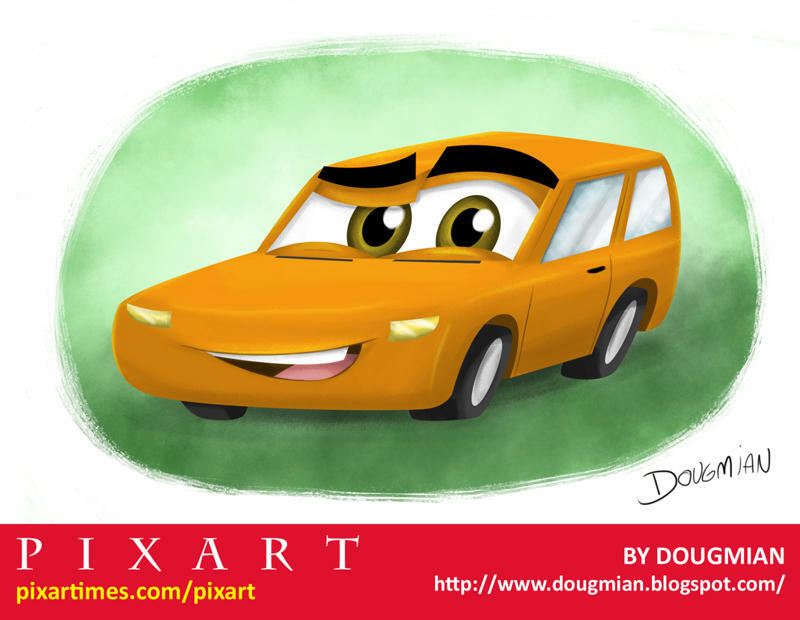 Based on his favorite Pixar movie, the artist says this is the “Down” version of Up. 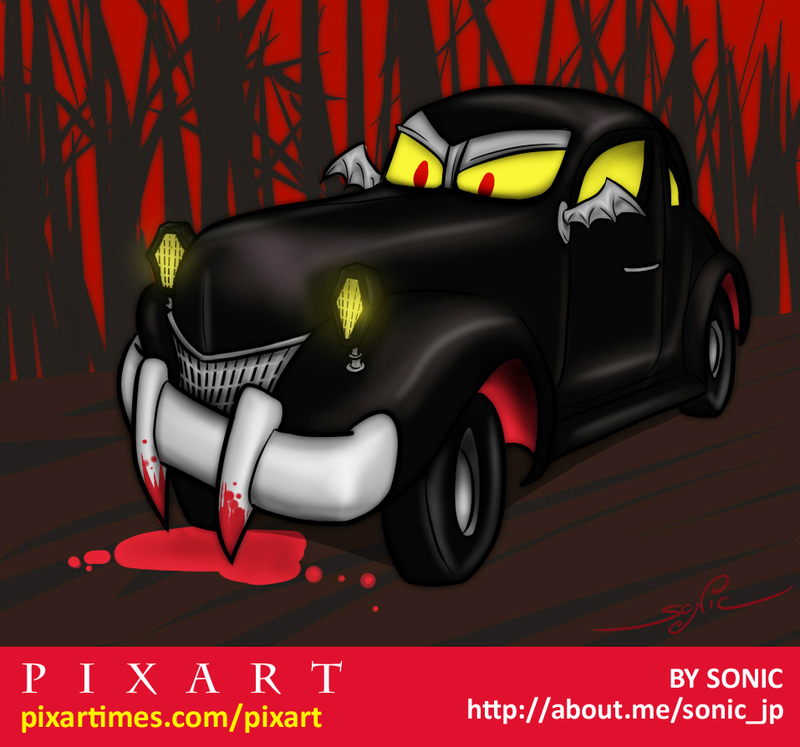 You can check out more of his great work at his deviantART page. He’s got some great takes on classic characters and personalities. 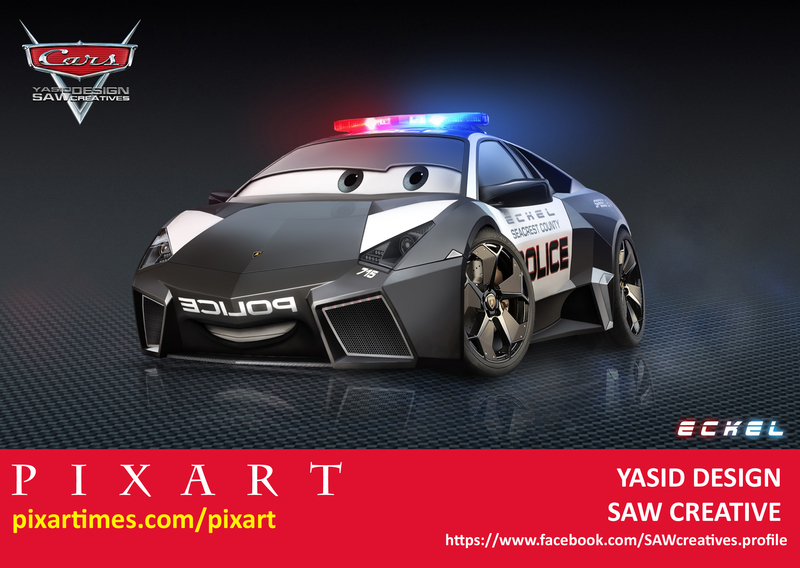 Lots of fun designs that are worth a look. We hope to see more from this fun artist. Read on for more about him in his own words. 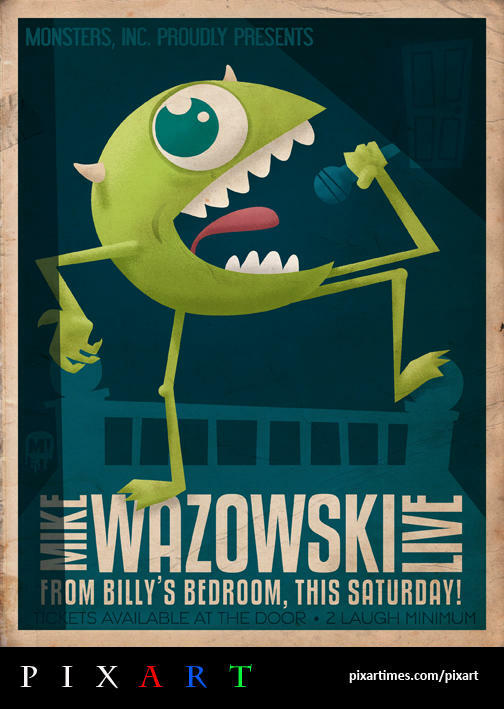 All the way from Billy’s Bedroom, we give you MIKE WAZOWSKI LIVE! 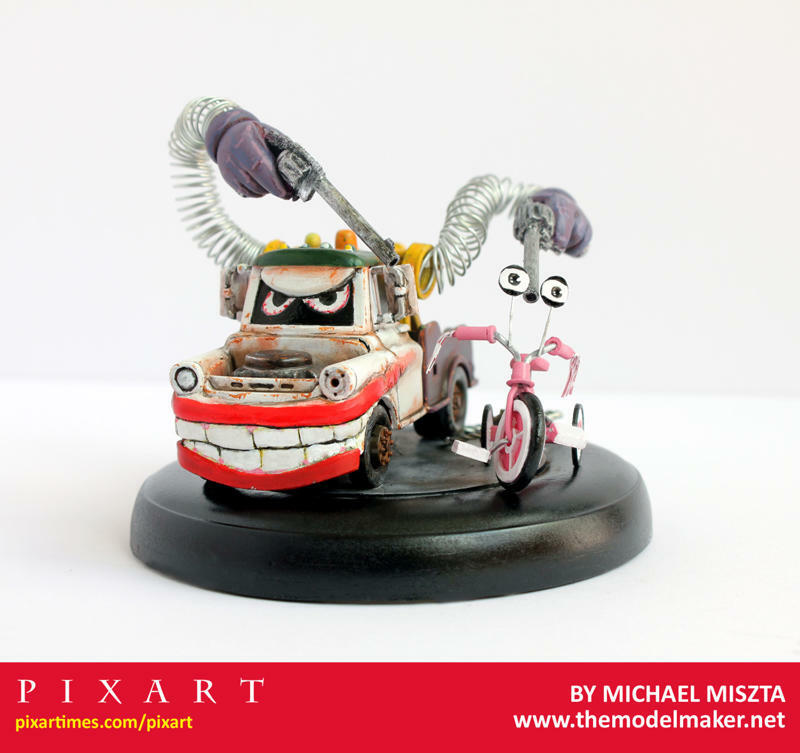 But seriously folks, we’re just crazy about this great image from the artist known as MUD! 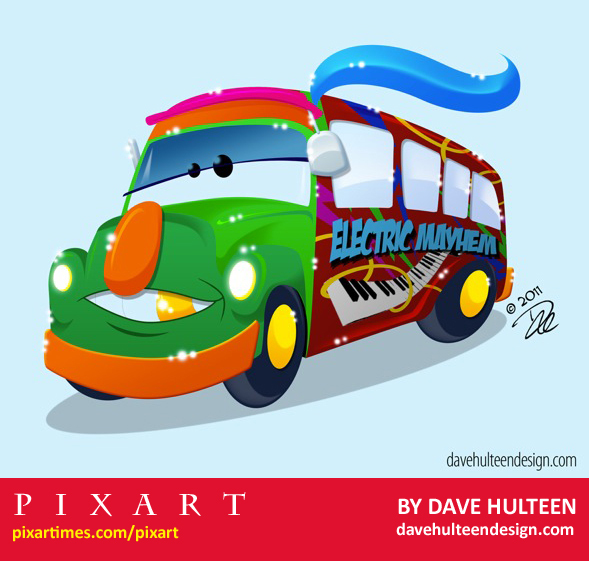 Check out his site for some more Pixar themed work. 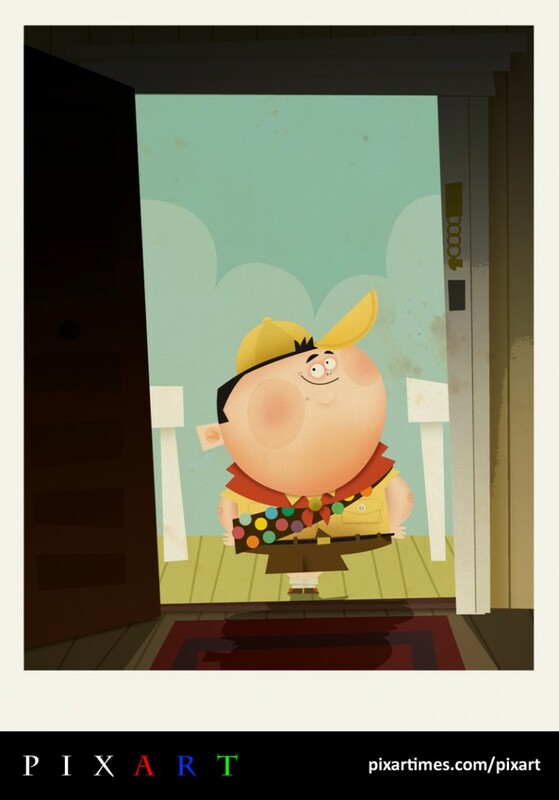 He’s got a great poster featuring everybody’s favorite Wilderness Explorer! Read on for more about the artist in his own words. 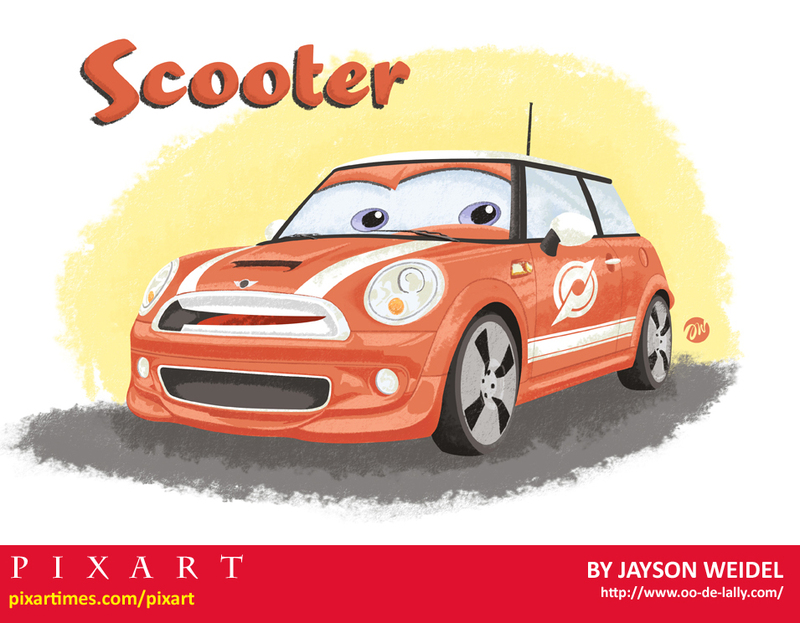 As today is the 25th Anniversary of Pixar Animation Studios, we wanted to run a special edition of PixArt to celebrate. 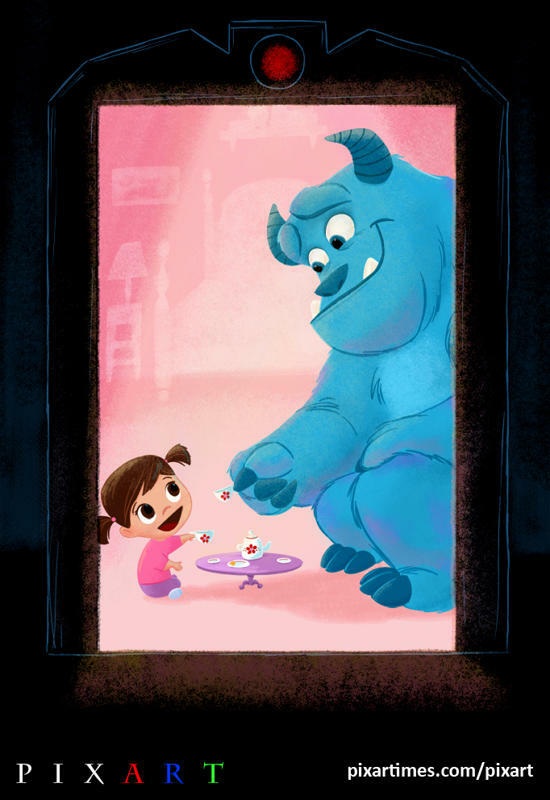 Now, we are absolutely thrilled to present a piece by Chris Chua, an animator at Pixar. Since he joined the storied studio a few years ago, Chris has worked on films WALL-E and Up. 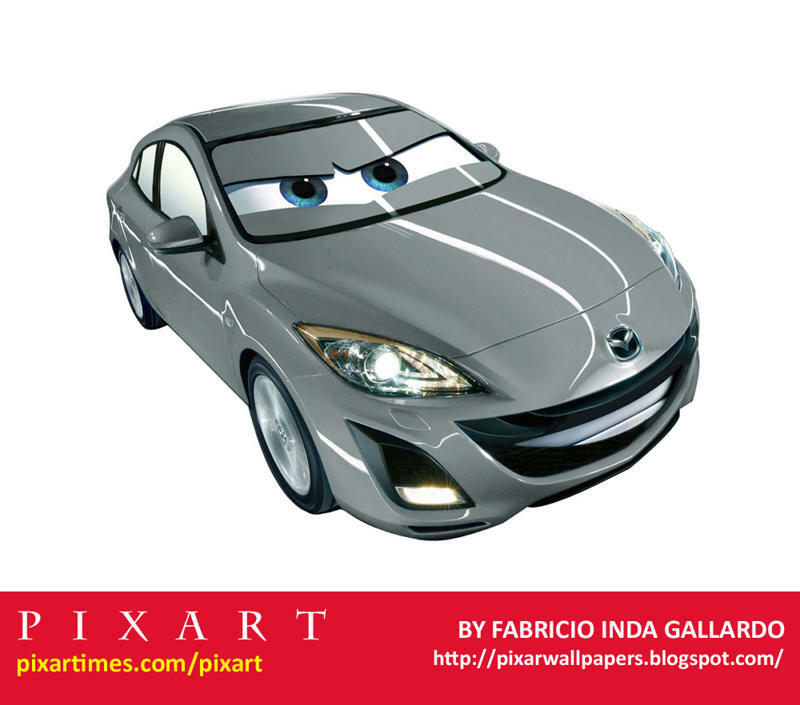 Last week, we got a look at a turntable video for Cars 2 character, Carla Veloso, which Chris animated. We asked Chris a few questions about his evolution into an animator, his time at Pixar, and his influences. 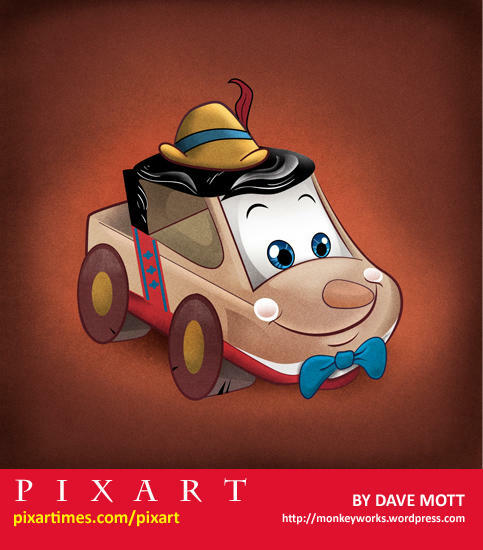 Read on to go on a journey through the mind of a great Pixar animator! 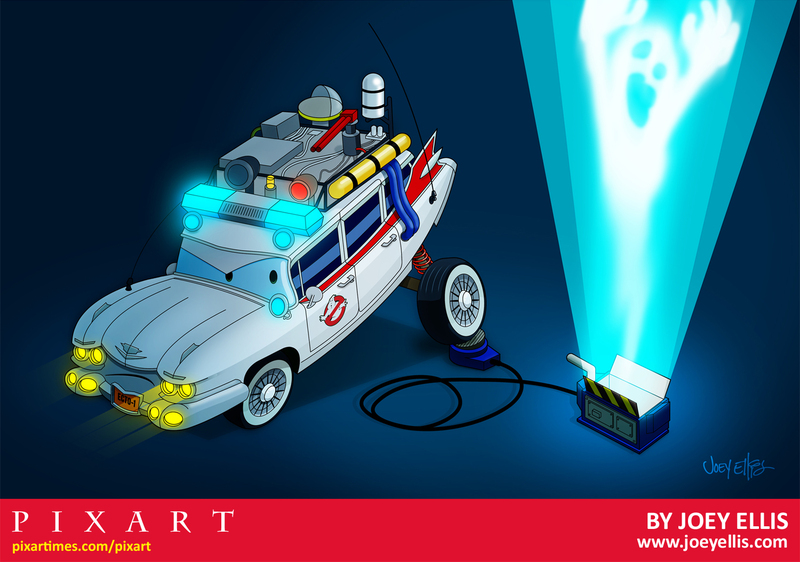 This fun mash up comes to us from artist Mark Crilley. 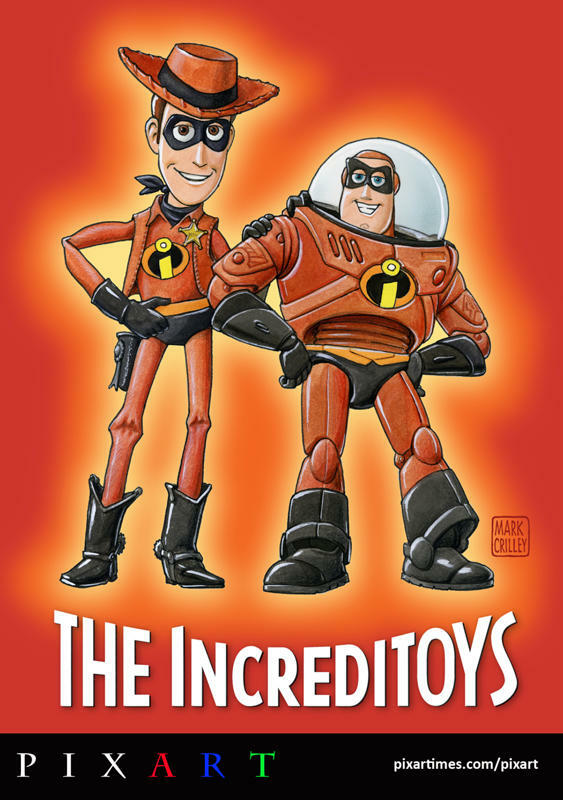 Looks like Woody and Buzz are all ready for the Blu-ray release of The Incredibles! We thank Mark for contributing this great image and invite you to read more about the artist in his own words. 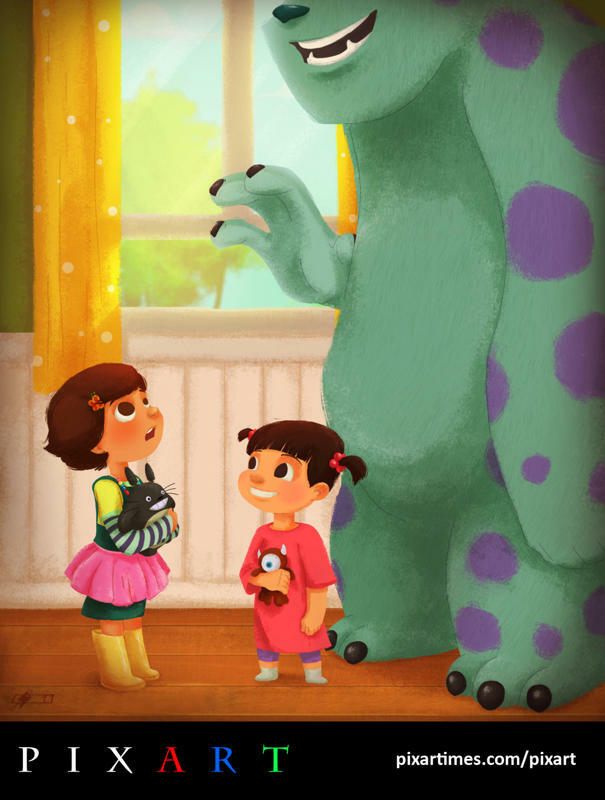 Bonnie meets Boo in this adorable image from French Illustrator Andry “Shango” Rajoelina. We’re so grateful that Andry took the time to create this image just for us! 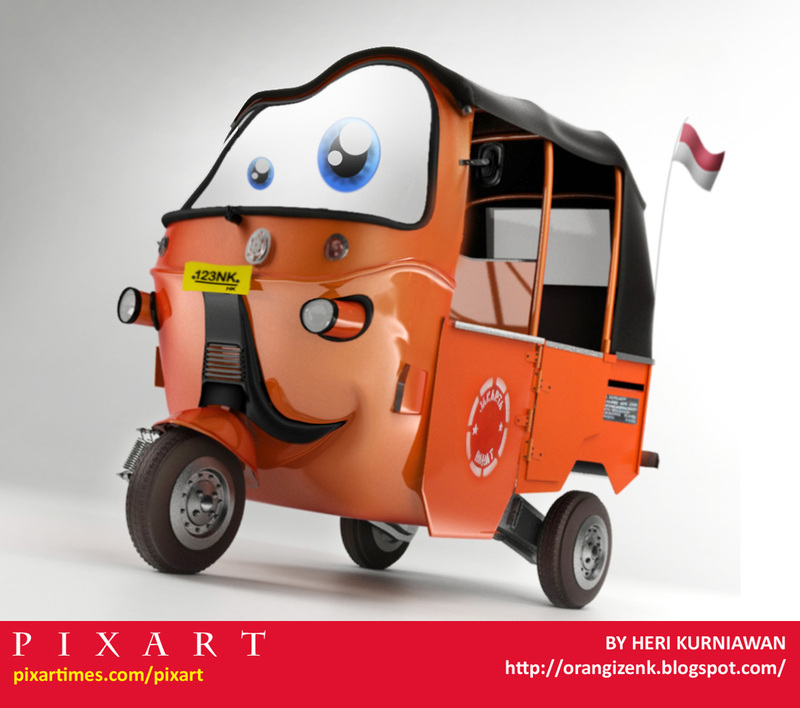 Read more about Andry below and make sure to visit his blog to check out more of his fun work! Thanks Andry! PixArt has been invaded by Ingvard The Terrible! All we know is that we’ve never seen such cute artwork from a Viking before. 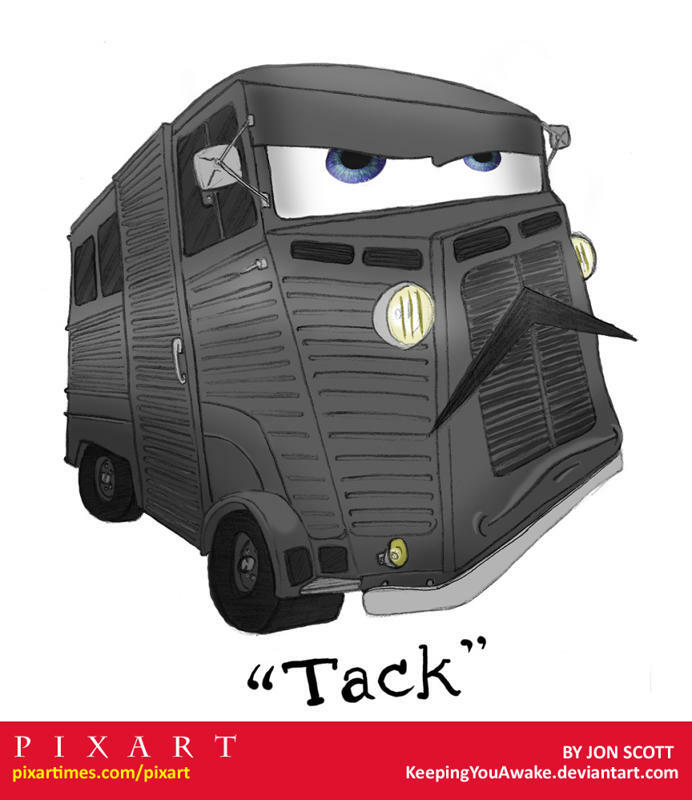 We think all of his work is great and we’d like to thank Ingvard for this fun piece. But don’t take our word for it – read more Ingvard The Terrible in his own words and make sure to visit his sites! Surely, you’re a fan of ‘bubblefriends’! The cutest militia on the planet comes to us from the talented mind and hands of illustrator Sascha Preuss. 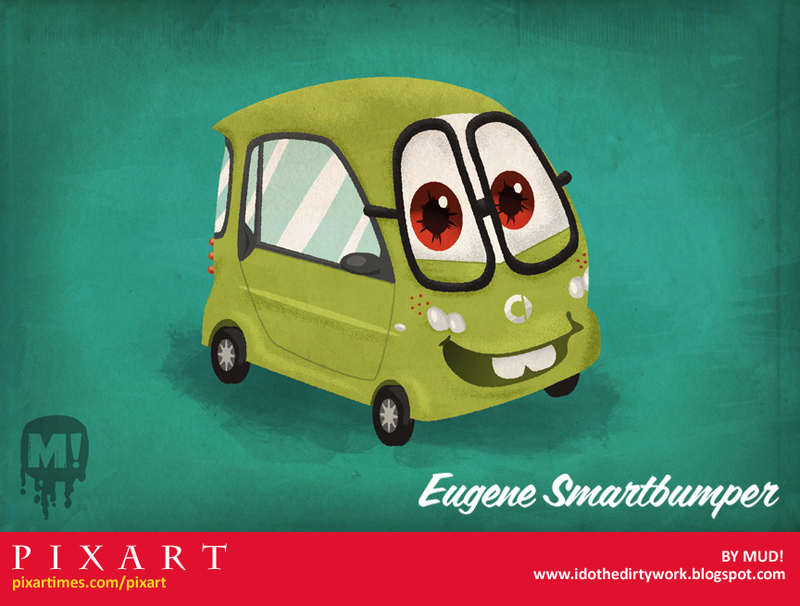 We were fortunate enough to have him create this adorable image just for us. And we couldn’t be more pleased with the results. Read on for more about this great artist and make sure to check out his websites listed below if you haven’t already. It’s great fun. Our sincerest thanks to Sascha for contributing such a wonderful piece to our gallery! We are so grateful for his time and effort on this great image. 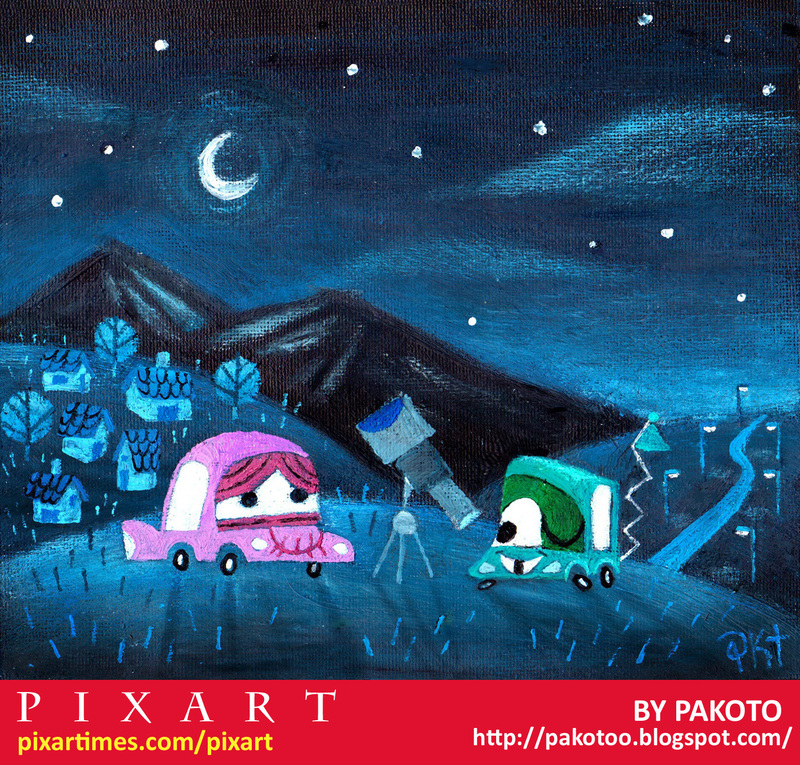 PixArt returns with our first feature artist of the month. If you’re a fan of cute, then you probably already know the work of Eren Blanquet Unten. 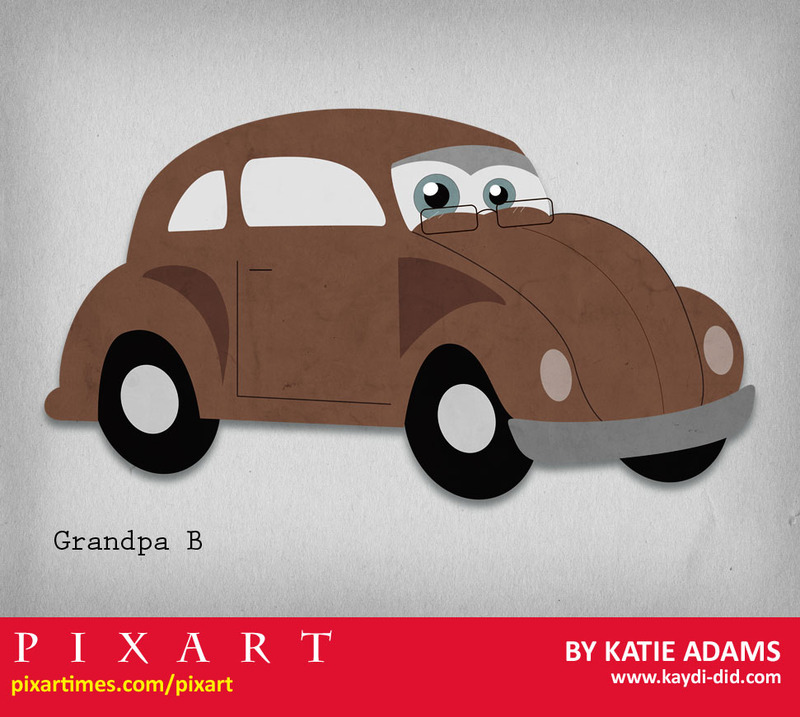 Her adorable images are instantly recognizable and always a lot of fun. But don’t take our word for it. Read Eren’s answers to our Artist Info sheet below and make sure to check out her blog (her website is currently under construction).